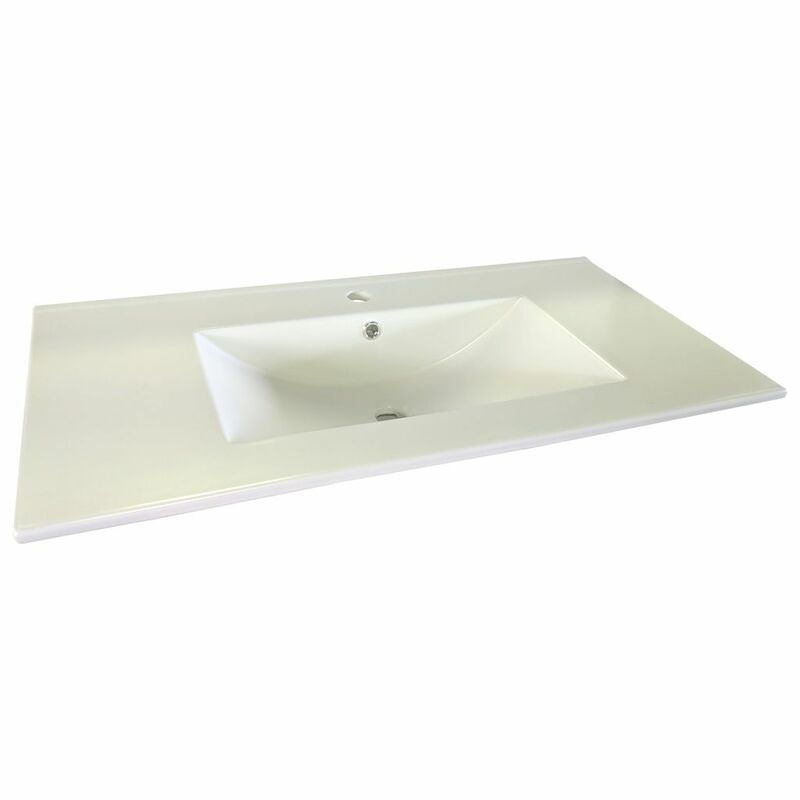 Manufactured from High Grade PVC Board makes this range of vanities completely water proof. The Tianna PVC bathroom vanity is a fantastic choice for your bathroom. Simple, elegant and practical, it presents excellent value for money and will certainly make your bathroom much more functional. 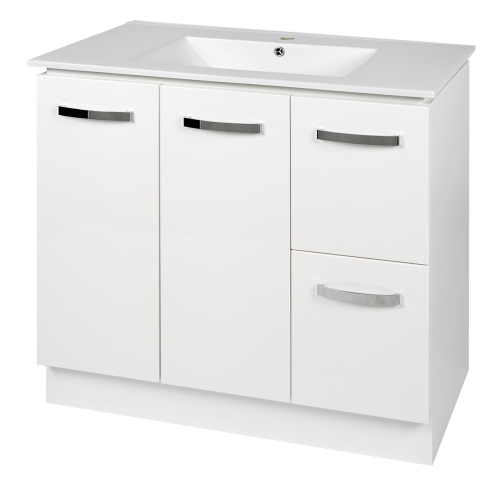 The Tianna PVC Vanity features a classic glossy white 2 pac finish. 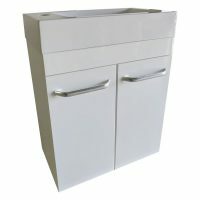 It is equipped with stylish chrome handles and soft closing doors and drawers, which make it easy to operate. 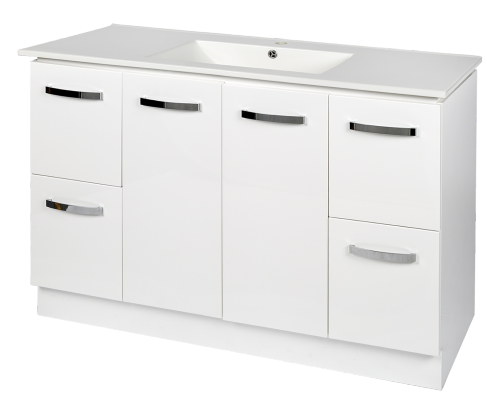 This popular bathroom vanity also includes a thin benchtop made of china and has an integrated basin. 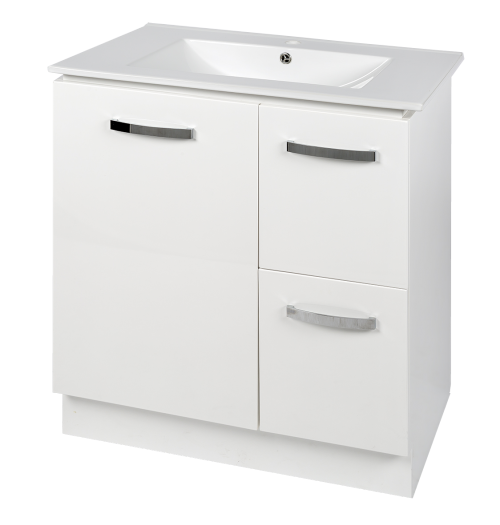 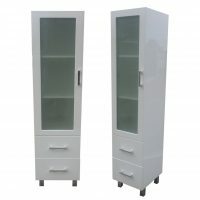 The Tianna PVC Vanity cabinet is manufactured using top quality PVC board. 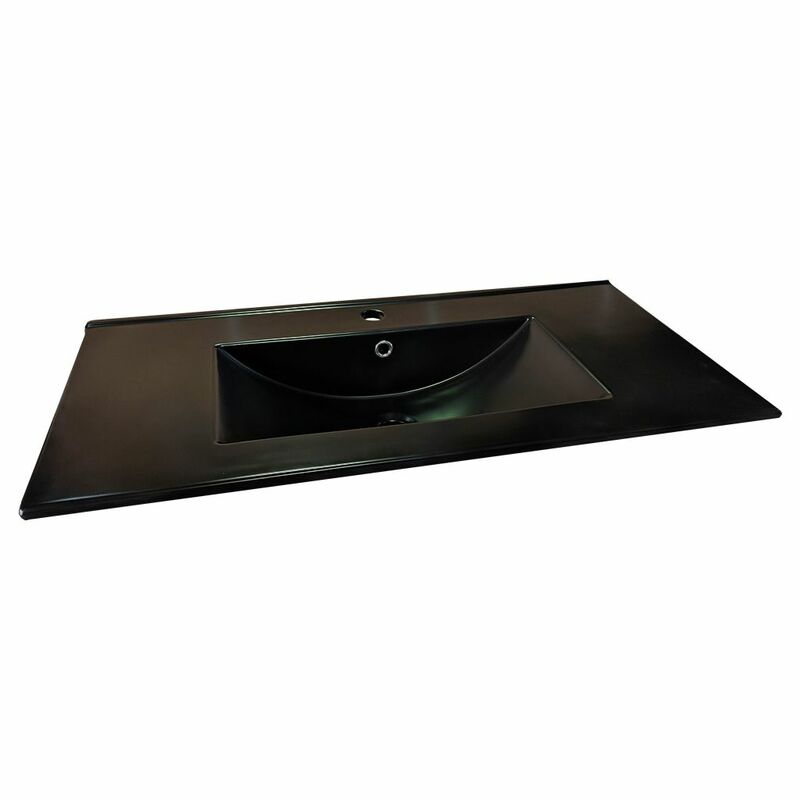 Unlike other bathroom vanities, it is 100% waterproof and will not rot over time. 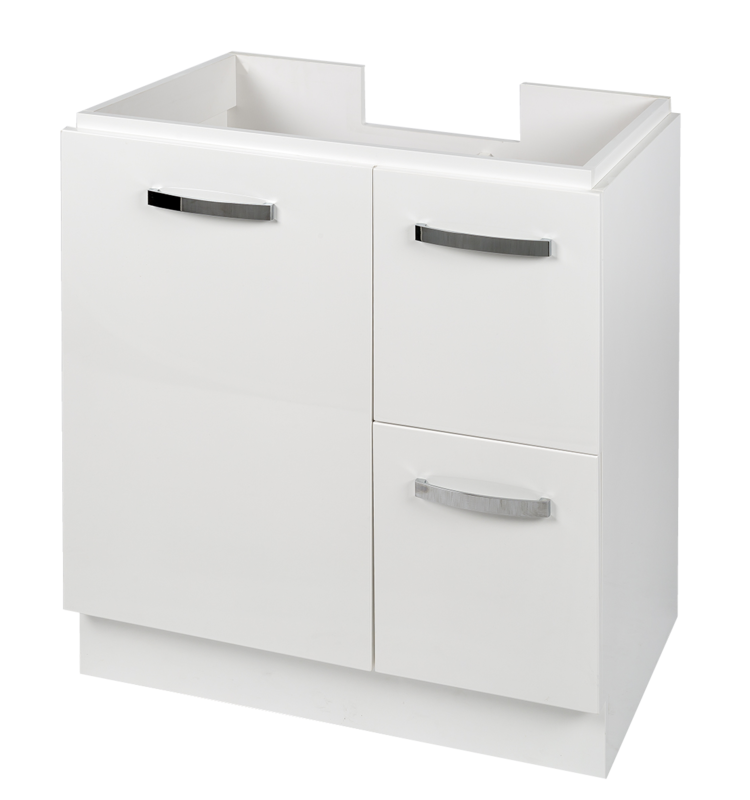 It is available in width options of 75cm, 90cm and 120cm, providing ample space for all your bathroom storage needs. 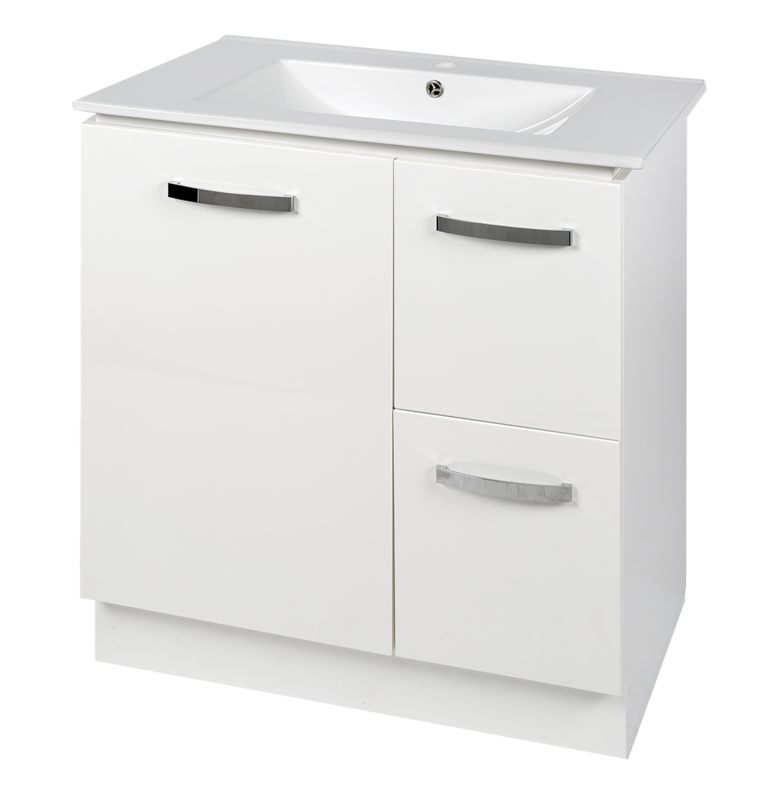 The Tianna PVC Vanity is a superior product that has been designed to past many years of substantial use. 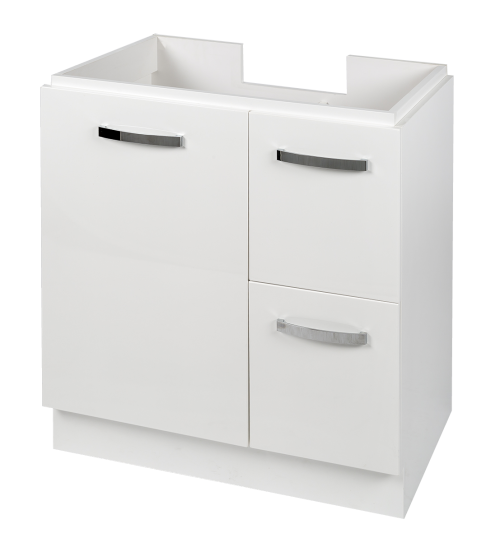 As a measure of quality, this product is also backed by a 5-year warranty. 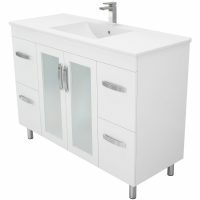 The Tianna PVC Vanity is a hot selling item at Ross’s Discount Home Centre because of the amazing value for money it offers. 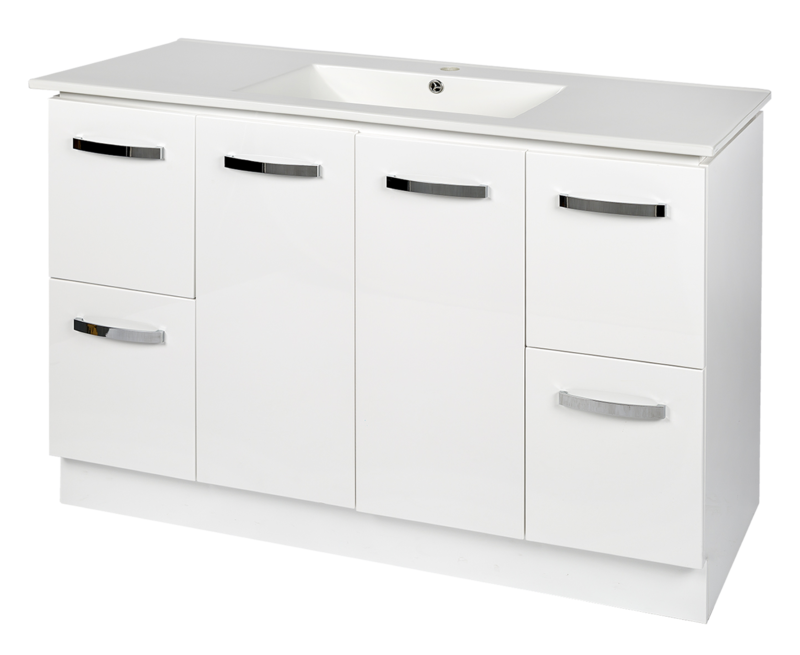 This bathroom vanity is currently in stock and available at an unbelievable bargain. 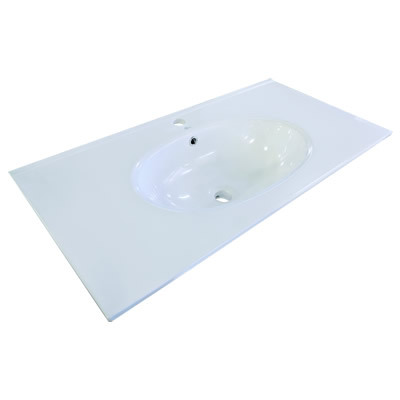 Don’t delay – buy this unique 100% waterproof vanity while stocks last!